2. This publication aims to support schools and centres in promoting diversity and equality through all aspects of planned learning. Contents. Overview; Fairness in policy making; Equality and diversity within the department; Working with organisations and networks. 2. 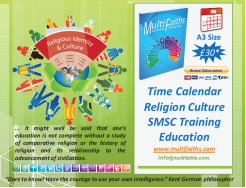 Religious believers visiting schools - Guidance to support schools wishing to invite visitors into schools to help children and young people to learn about religions and non-religious worldviews. MP and Chair of the All Party Parliamentary Group on Religious Education (AAPG). March and April 2014 Monthly A3 Planner Download. Teachers find it helpful when they are provided with an inclusive calendar noting major religious and secular holidays with brief descriptions of their significance. The school's cultural values are reinforced through displays of Monthly Planner throughout the school. 1. Expand pedagogical and content expertise in the school learning context. 58% of primary teachers polled say that, on entering the profession, they had little or no confidence to teach RE. 2. Use adult learning for community context. 3. Promote collaboration and co-learning. 4. Focus on data-driven instruction and student learning. 2014 - 2015 Multi Faiths Navigators Talks for ‘train the trainer’ Education Sector. We are giving presentation, in areas of particular interest to services users and provider of education, chaplaincy, equality, local government, local interfaith groups. 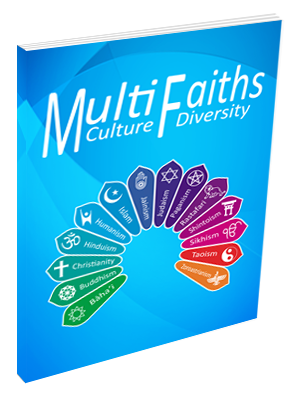 http://www.multifaiths.com/multifaithsorder2014.